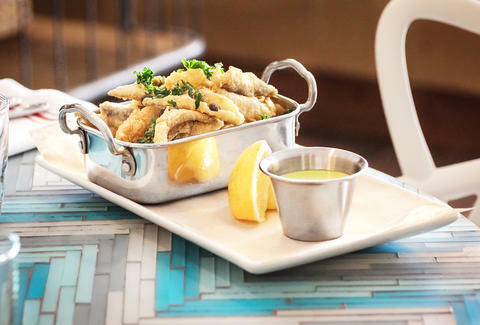 Bringing the best the ocean has to offer from both coasts, Fish Public in Kensington is cooking up sea life in just about every conceivable way, but -- let's be honest -- you're particularly interested in fried fare, like the Fries with Eyes, made by battering smelt in cornmeal, frying it to a golden crisp, topping it with capers, and serving it along with lemon-basil aioli. They will literally help watch your weight. 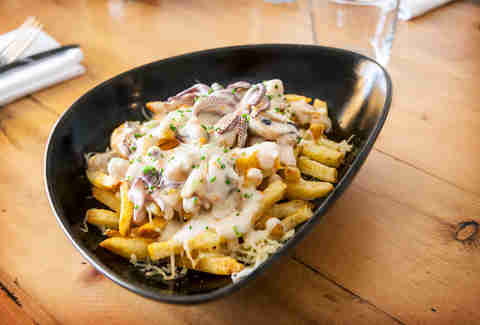 The bay scallops, mussels, clams, and calamari in this seafood poutine may not be fried, but they're sitting on a bed of French fries covered in a cheesy Mornay sauce and a sprinkling of Fontina, so we'll let that slide. 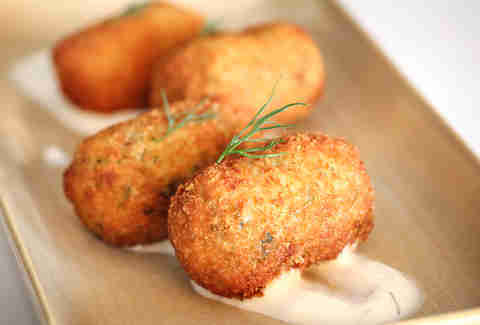 Also from the Atlantic side of the menu, these Cod Tots consist of bite-sized salt cod fritters plated with dill cream. They will never grow up to be big and strong, because you will eat them. Classic fish and chips made with fried labrador (what?!?!) 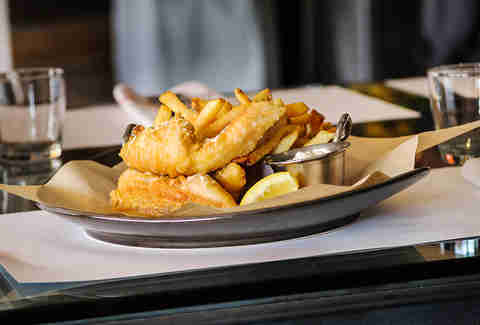 red fish (oh... ) come with the classic lineup of fries (ahem, chips! ), tartar sauce, and malt vinegar. 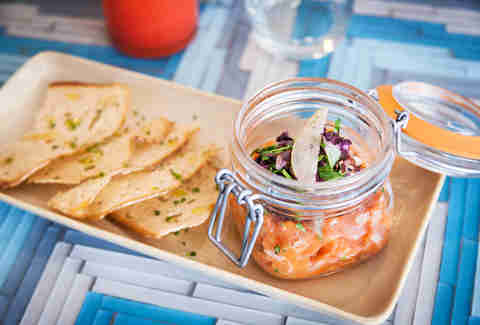 If you INSIST on something not-so-fried, try this salmon tartare tarted up with a little apple. 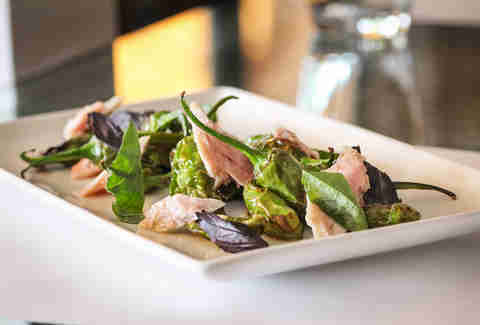 Or these poor, blistered shishito peppers with house-made tuna conserva and basil. 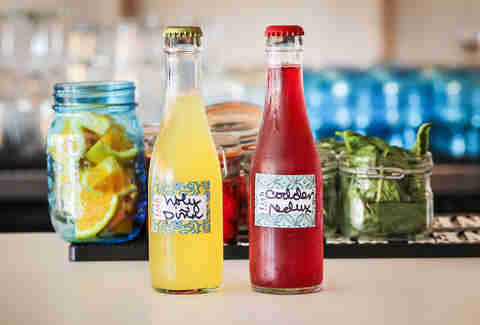 Bartender Dustin DeWinter is bottling his own oddly Summer-friendly cocktails. The Holy Pina is tequila with jalapeno-infused pineapple juice and a smoked salt rim, and the Cape Codder Redux is vodka, Lillet rose, and cranberry lime shrub. 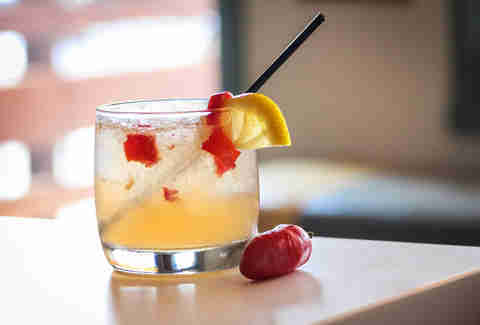 If you'd rather just skip to the glass, this Samurai Vaquero is a spicy Latin- and Asian-influenced 'tail with tequila, fresno chili & agave with a sake float. 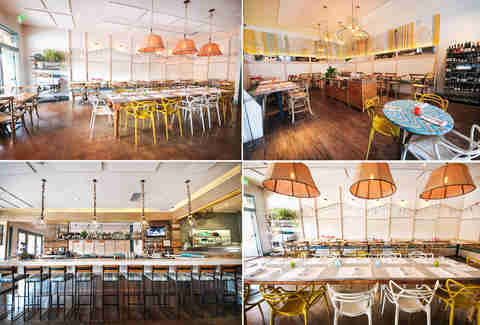 The interior pairs nicely with the menu, channeling nautical, East Coast vibes that makes you feel like you just stepped off the beach in Cape Cod, after which it wouldn't be uncommon for you to be fried.